Feck & Drink: why isn’t there more wine on TV? If you want to annoy certain people in the wine world, lean over and say to them, ‘what you really need is a Jeremy Clarkson of wine.’ Or a Jamie Oliver (though m’esteemed colleague Matt Walls has already covered that one on this site last week.) 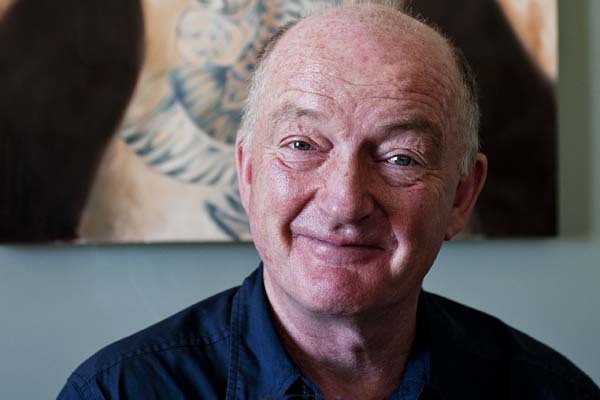 It does make you think though, why hasn’t there been a wine television star since Oz Clarke? Where are the new Oz Clarkes? It’s a similar story over on Food and Drink where they have Joe Wadsack, someone who really needs a whole channel for his personality, meekly recommending generic wines whilst Tom Kerridge does that strange forced grin of his. Oddly on all these programmes they urge viewers to use the finest possible beef but the wines rarely break the £10 barrier. It was all so different in the 1980s and 90s. Wine was considered important. Jancis Robinson had her own series on Channel 4, Hugh Johnson made his magisterial the Vintage: A History of Wine and of course there was Oz and Jilly on the old Food and Drink. No matter how silly they were as a double act, and sometimes they were very silly indeed, at least the wine took centre stage. For a brief moment, it looked like wine would be the new food. It never happened. Wine lacks the visual excitement: it all looks pretty much the same, vineyards even those in dramatic places are a bit dull and watching fermentation isn’t as exciting as watching Ainsley Harriott making one of those spun sugar baskets on Ready, Steady, Cook. The last big wine series on TV, I think, was that Oz Clarke and James May thing: two middle-aged men on holiday trying and failing to bond over wine. Not Clarke’s fault, it was just that James May looked like his agent had dragged him there at gunpoint and he’d much rather be tinkering with an old motorbike. Since then nothing major. Forget history or science though, television has already come up with a way to do alcohol and make it entertaining. There was a special put out a couple of years ago presented by Giles Coren and Alexander Armstrong which was based around Christmas boozing. Of course, Armstrong could make almost anything entertaining but it was also well-written, and the two of them had a good rapport which meant there was no unwatchable Food and Drink-style forced jocularity. Best of all though, they weren’t trying to make it the Top Gear of booze. Neither of the presenters were experts but they were clearly interested and approached the subject in a light-hearted but non silly way. As I recall they even had a serious chat about the merits of Chateau Musar, you don’t get that on Saturday Kitchen. They should dust off this format but with a resident wine expert to be fondly teased (Tim? Jane?). Or better still, clear out Kerridge from Food & Drink, put it on late at night and have Joe Wadsack compare wines to mescaline. You could call it called it Feck & Drink.